As if a new trailer and gameplay footage during the Game Awards wasn’t enough, Nintendo has shared yet another look at Breath of the Wild during its Nintendo Switch Presentation, and it is absolutely stunning. There’s so much going on in this near four-minute long trailer, you may feel compelled to watch it multiple times. We won’t blame you! 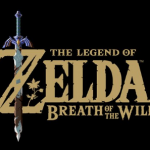 We see returning races such as the Zoras, Gorons, Koroks, and Gerudos; we finally see Zelda’s face, and a familiar Deku Tree; we see plenty of landscapes, enemies, and glimpses of the story that will run through the game. But perhaps the most important detail is, Breath of the Wild will be releasing for the Nintendo Switch on launch day, March 3, 2017! In all, there’s a lot to take in so get started on that right away with the trailer below!